Jumping pad for 2.44 m trampoline with 48 springs of 180 mm in length. 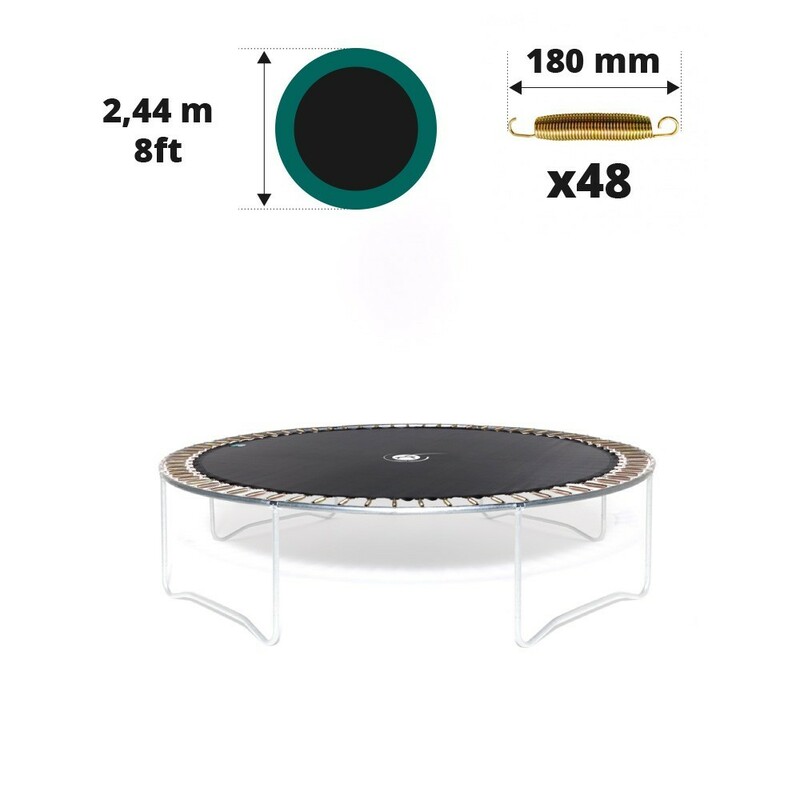 This jumping pad is for all round trampolines of 2.44 m in diameter with 48 springs of 180 mm, even if you did not buy it at France Trampoline. 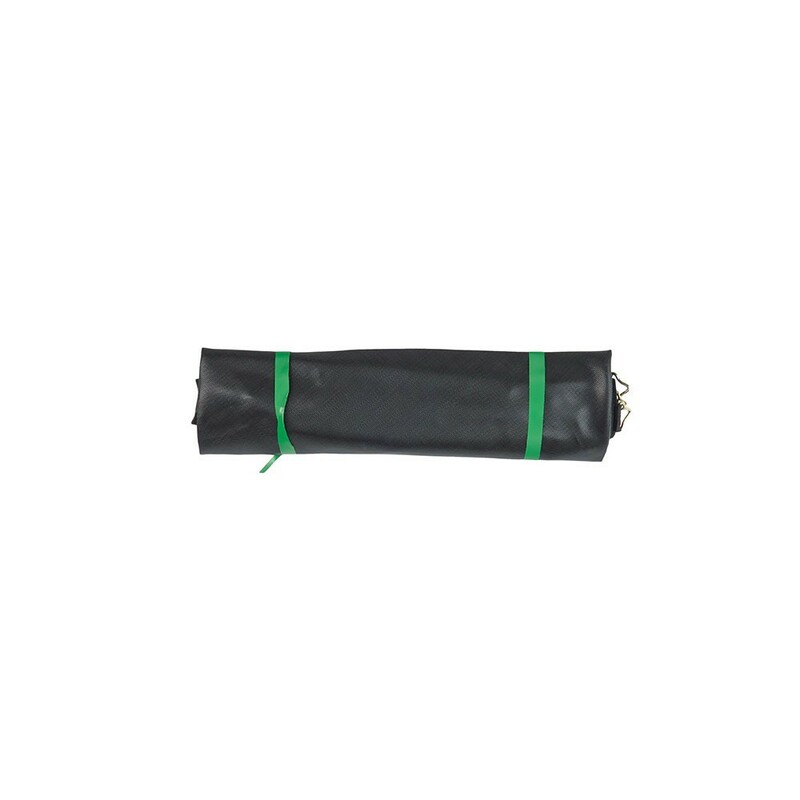 If your jumping mat is damaged, we would recommend changing it as soon as possible for safe and durable use. - This jumping pad is adapted to our Jump’Up 250 and Oxygen 250 trampolines, or any other round trampoline of 2.44 m in diameter with 48 springs of 180 mm in length. To take the measurements, ask a second person to help you and measure the outside edges of the trampoline. - Our products are made from black mesh fabric, which is incredibly tear-proof. They have also been UV protected which improves the jumping mat’s durability. 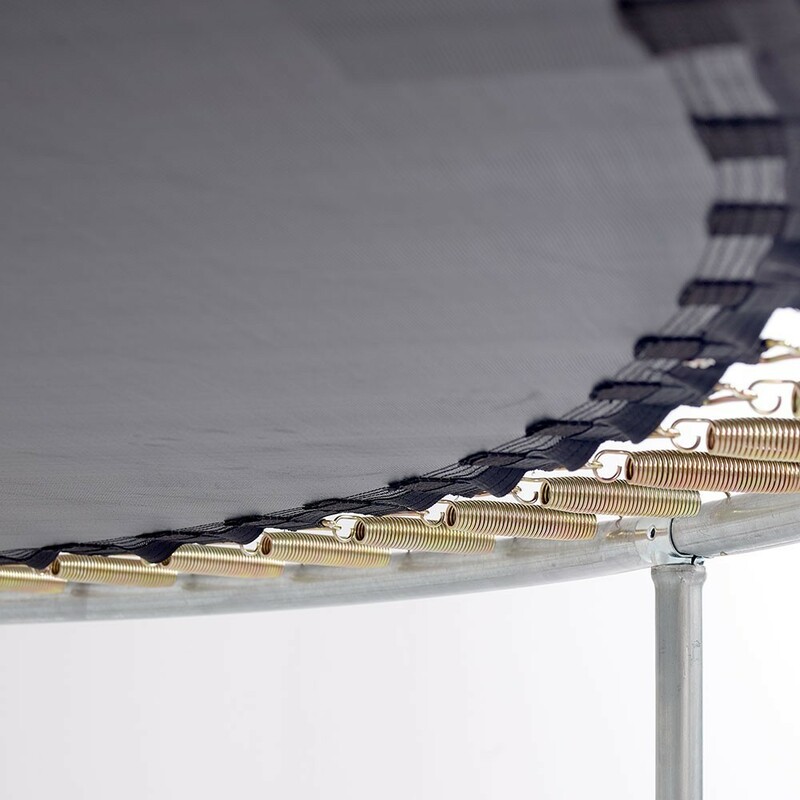 - To improve solidity of the triangular steel rings, our product has 8 rows of stitches along the underside of the pad, as well as a strengthening strip all around the pad. The rings, made of galvanised steel, are rust-resistant. 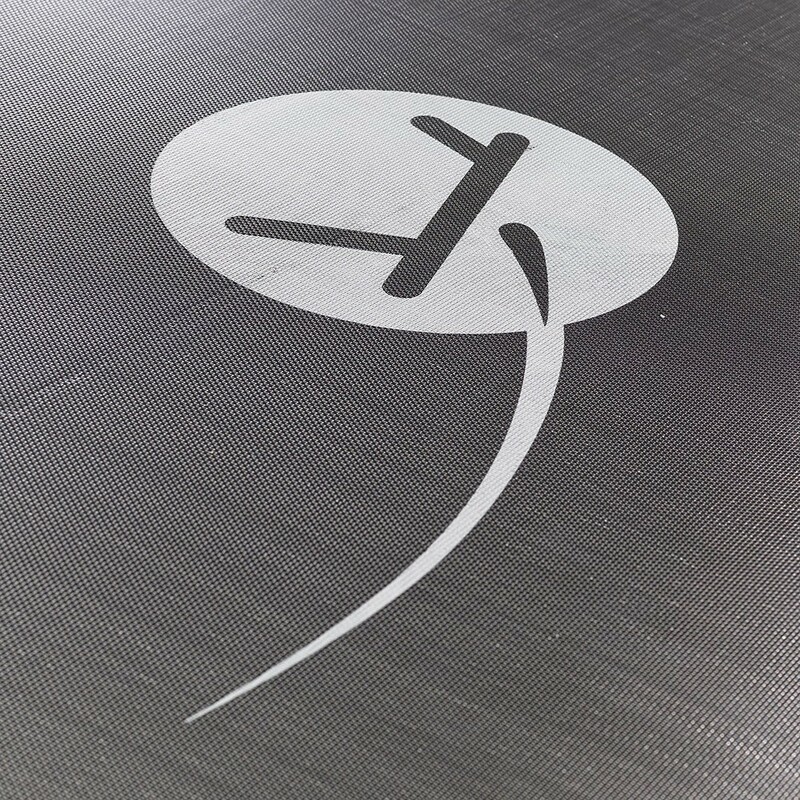 Thanks to this design, our jumping mats are durable and can withstand up to 120 kg in weight. 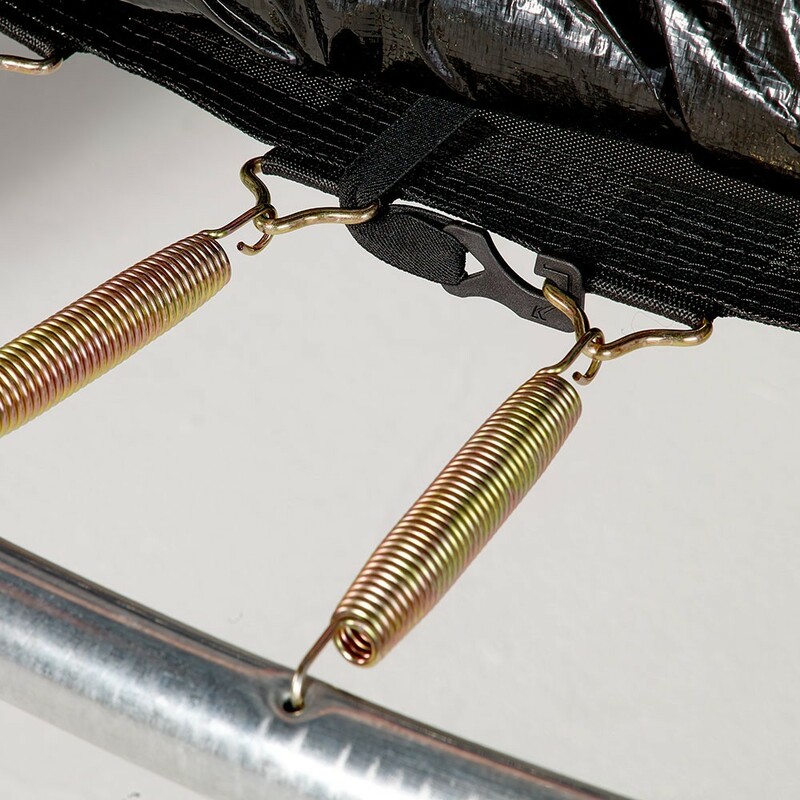 - This jumping pad is adapted to trampolines with a diameter of 2.44 m with 48 springs of 180 mm in length. 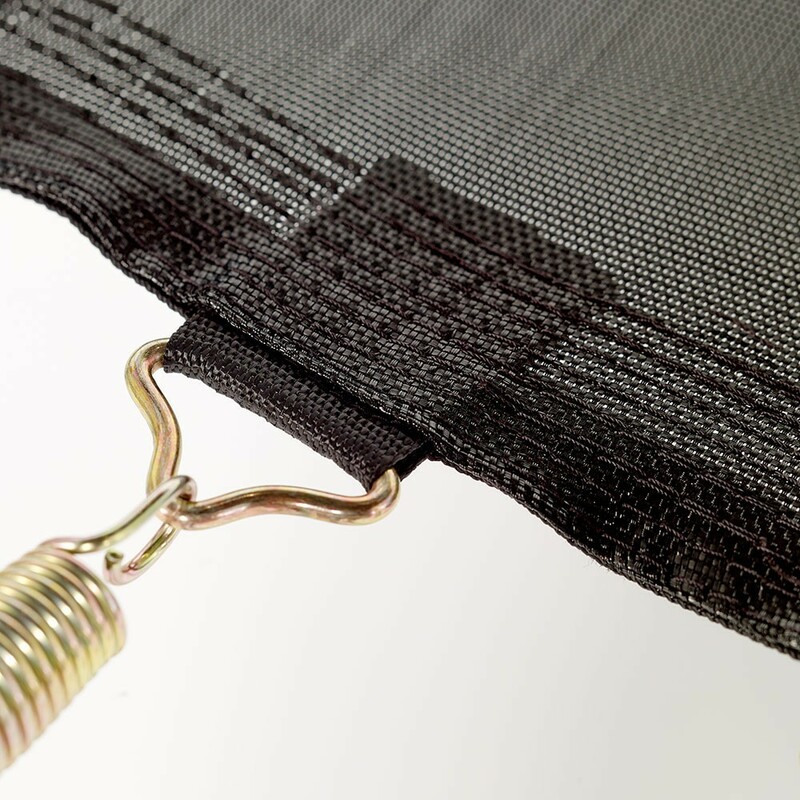 We recommend measuring your springs carefully before ordering your new jumping mat.